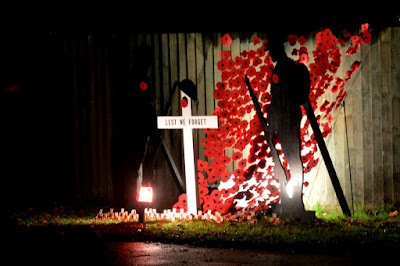 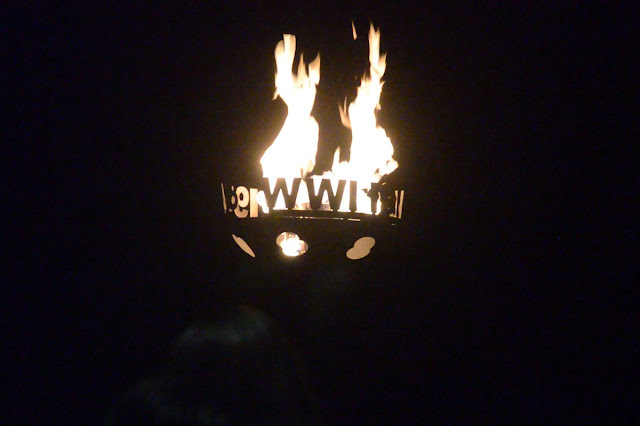 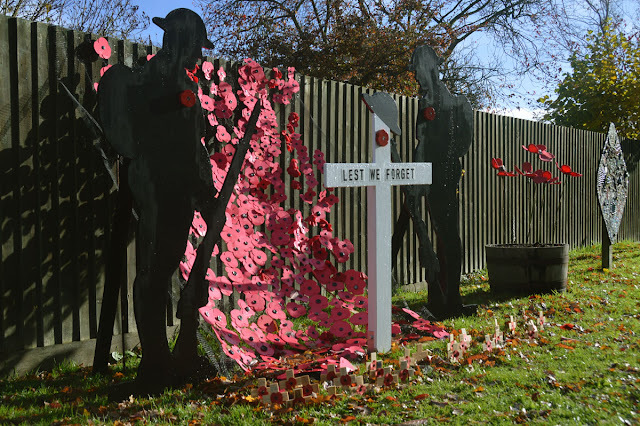 The WWI Armistice Centenary Event at Burton Green was centred around a display of soldier silhouettes, and a poppy cascade, created by children from Burton Green School. 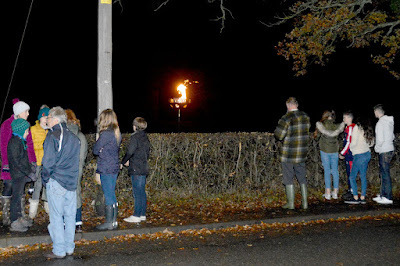 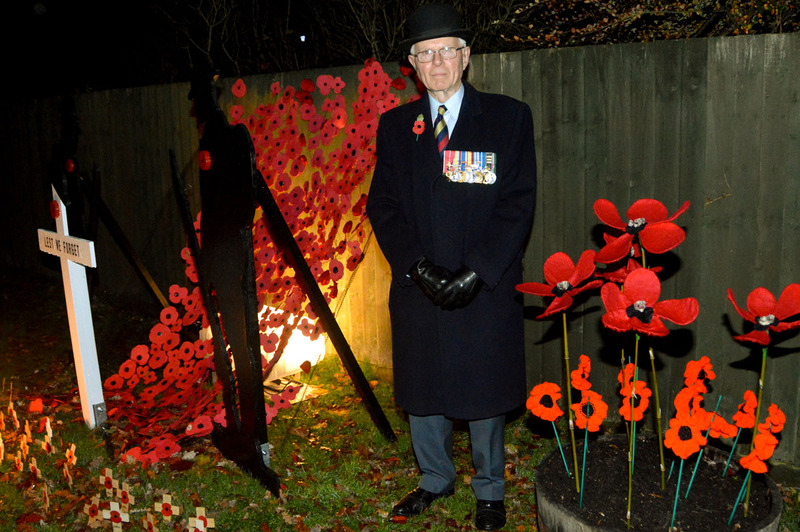 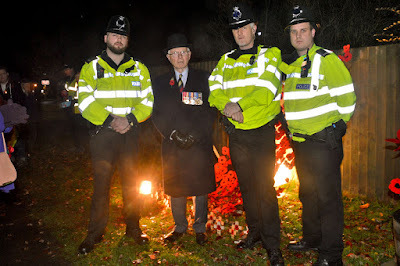 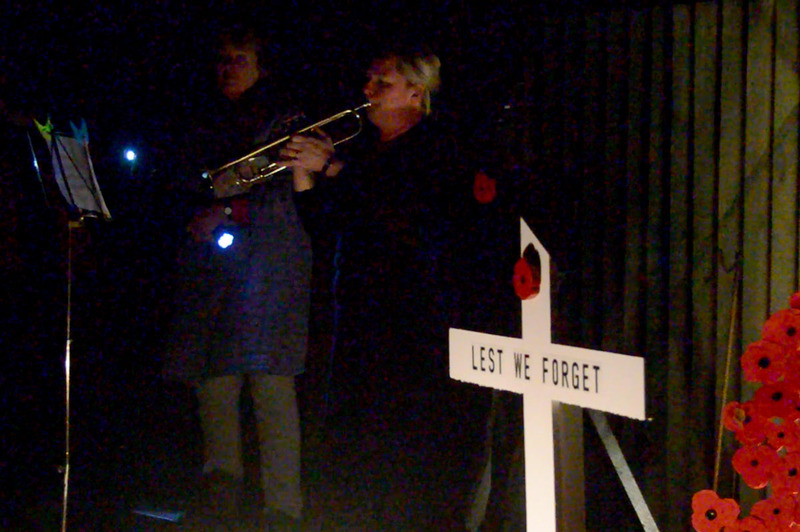 Local residents had also placed British Legion wooden crosses to remember individuals from their own families, and soldiers who had lived in Burton Green, at the foot of the display. 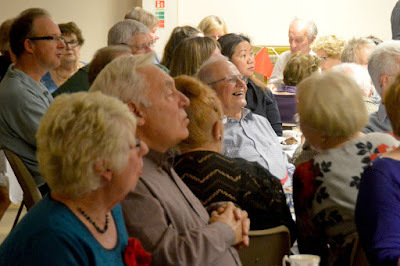 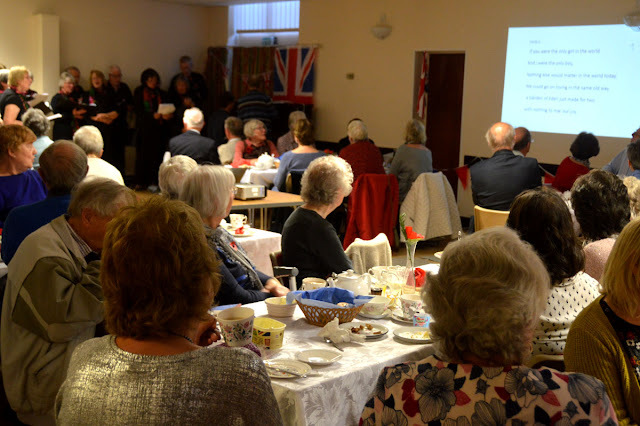 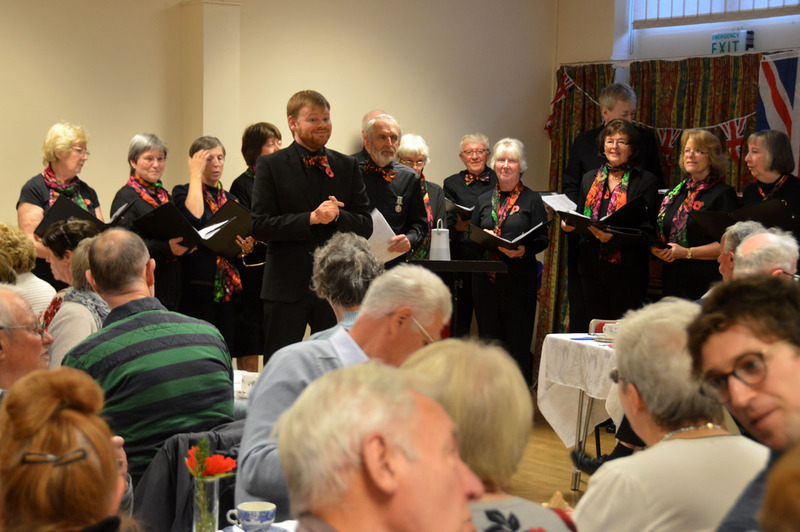 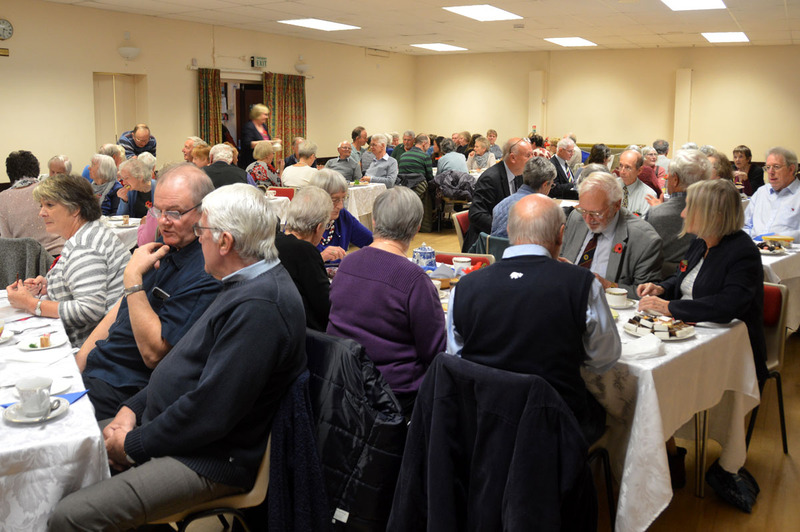 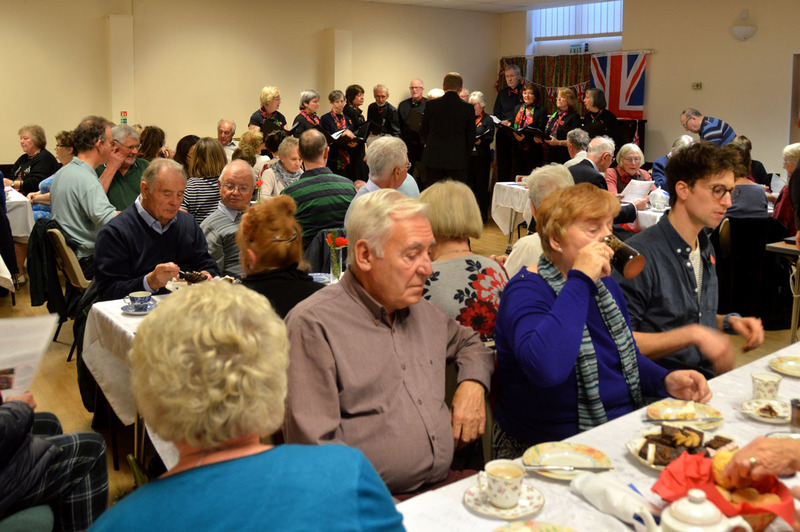 On the afternoon of 11th November, there was an Armistice-themed tea in the village hall, attended by 75 residents and friends of the village. That was followed by a performance from the Burton Green Village Choir, and then communal singing of some popular war time songs.